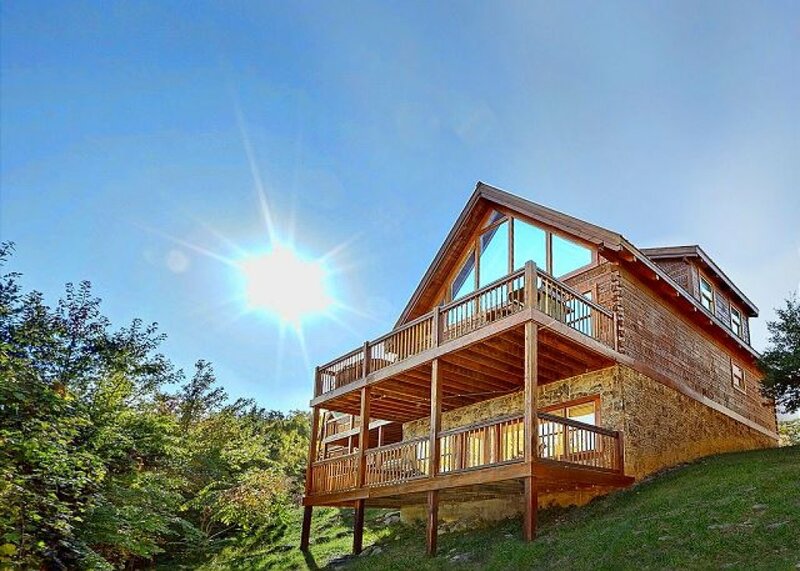 Looking for a luxury mountain cabin that can accommodate a small crowd? 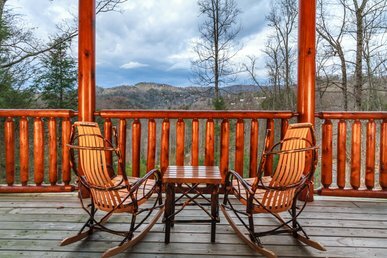 Here it is: Bear Pause II can sleep up to twelve people, and from its decks, you’ll have spectacular views of the Great Smoky Mountains. 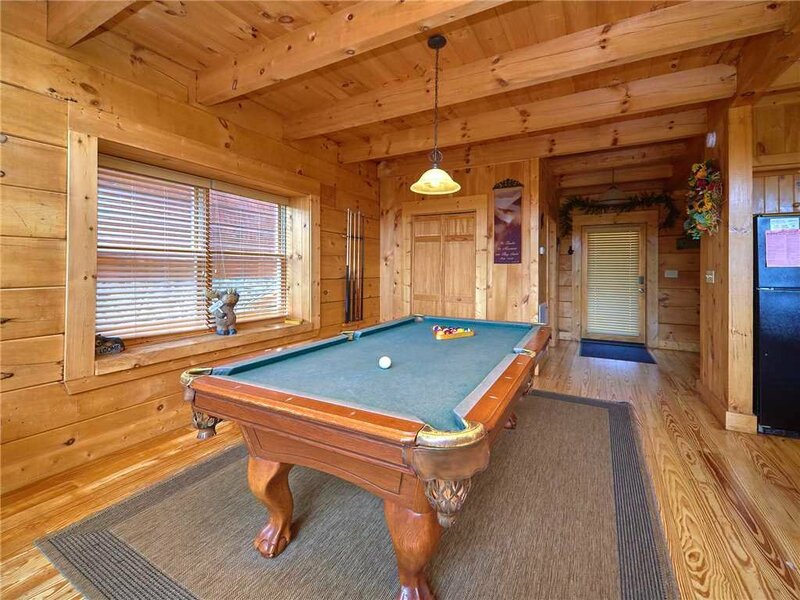 What’s more, its wealth of amenities includes an outdoor hot tub, an indoor jetted tub, and a full-size pool table. 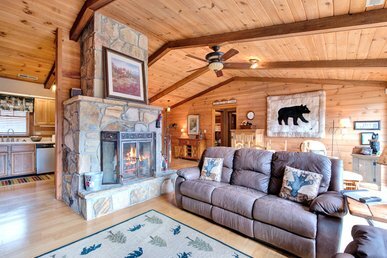 Spread out over three floors, Bear Pause has flexible sleeping arrangements that can accommodate a large family, several smaller families, or a group of friends with equal ease. 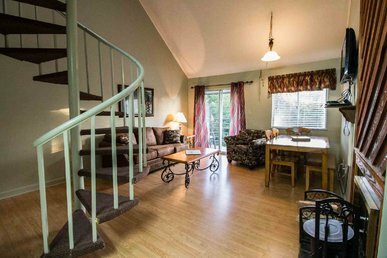 The loft hosts a spacious sleeping area furnished with a sumptuous king-size bed as well as a charming nook with a daybed that converts into a twin with a trundle so that two people can sleep there. 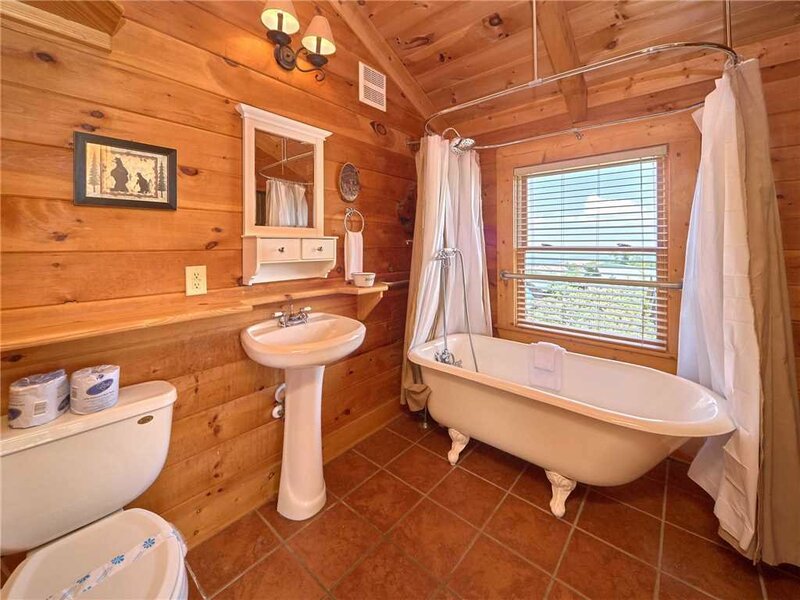 The loft has its own full bathroom too, complete with a claw-foot tub modernized to include a shower. A family of four could easily make this floor their quarters. 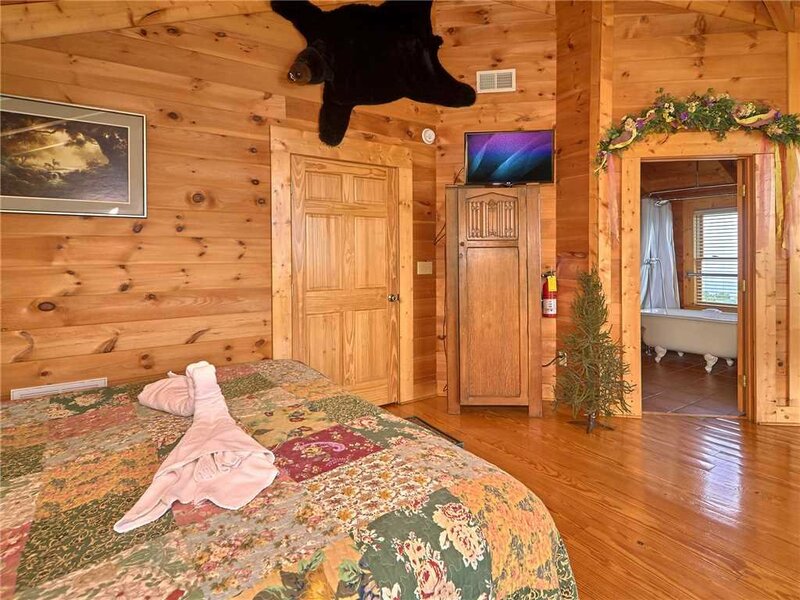 The other two bedrooms are downstairs. 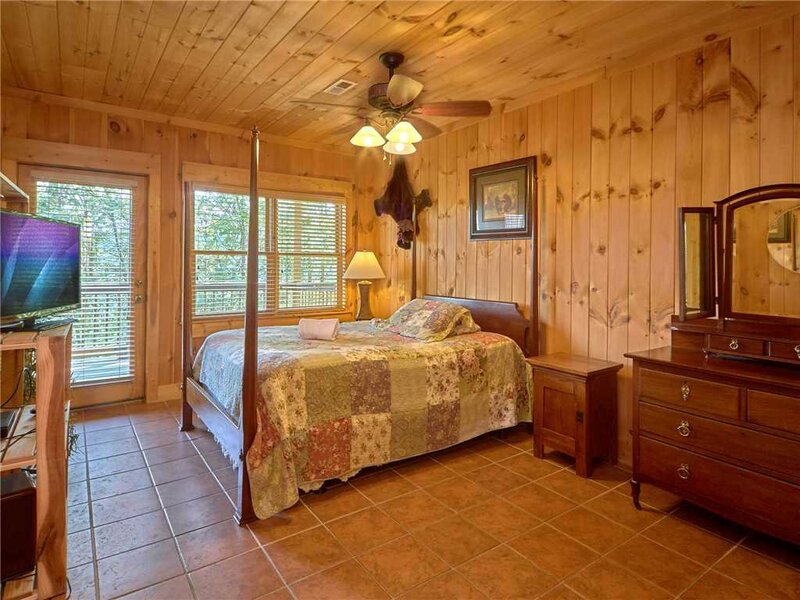 One room is large enough to accommodate both a queen-size bed and a pair of bunk beds. 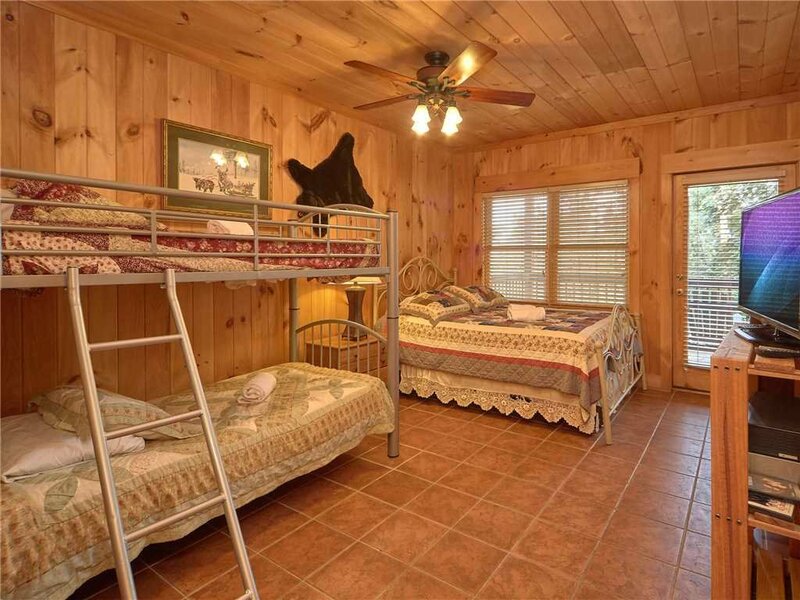 While this room could also sleep a family of four, you might want to allow the kids to make this their dorm. 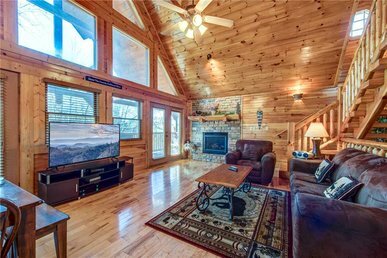 It offers plenty of storage, a TV, and more than enough room for all their toys and games. Every night will be a slumber party in here! 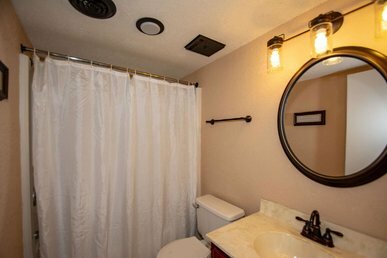 The second downstairs bedroom is a full-on suite, complete with a private bathroom that includes a Jacuzzi/shower combo. After a day on the slopes or the hiking trails, you’ll relish a long, restorative soak. 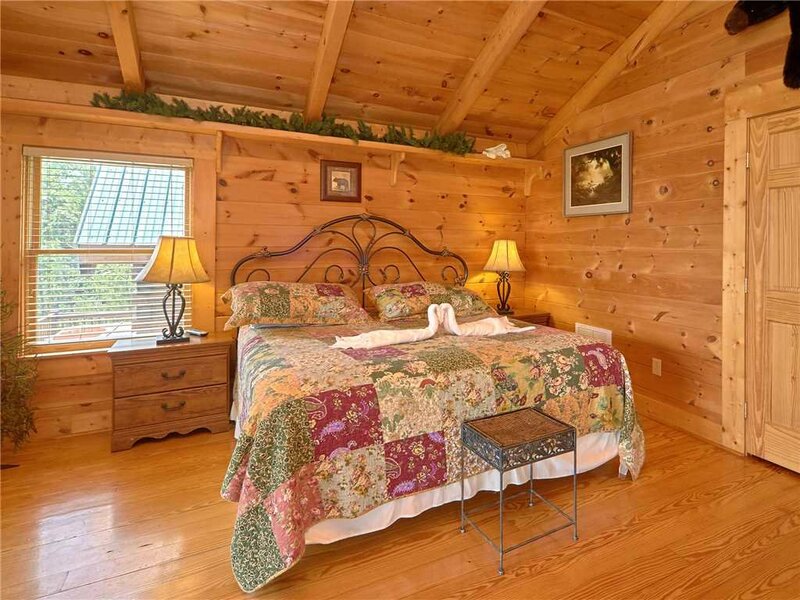 Afterward, you can climb into the queen-size bed and watch TV, or head outside for a romantic nightcap under the stars: This bedroom, as well as the other downstairs bedroom, opens directly onto the lower deck. 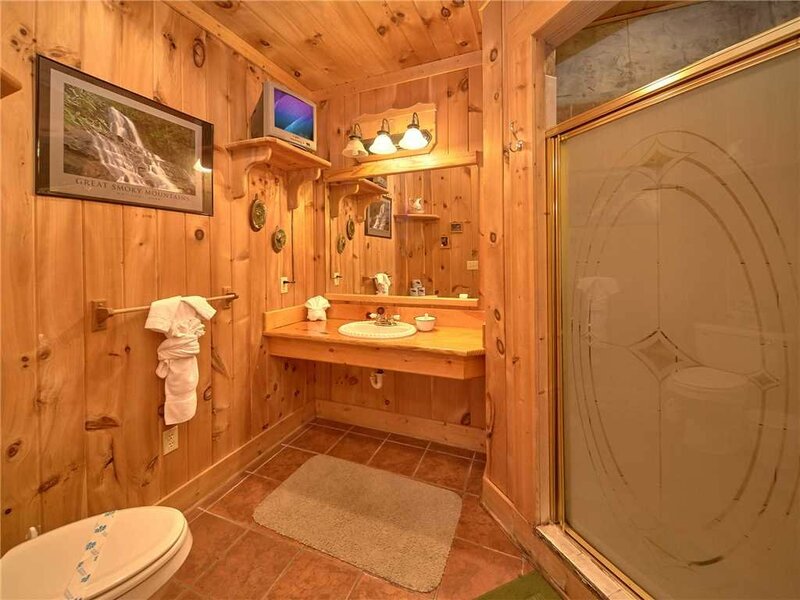 The downstairs has another full bathroom too, plus there’s a half-bath on the main level. What’s more, if you have additional guests, you can convert the great room’s sleeper sofa into a bed for two. 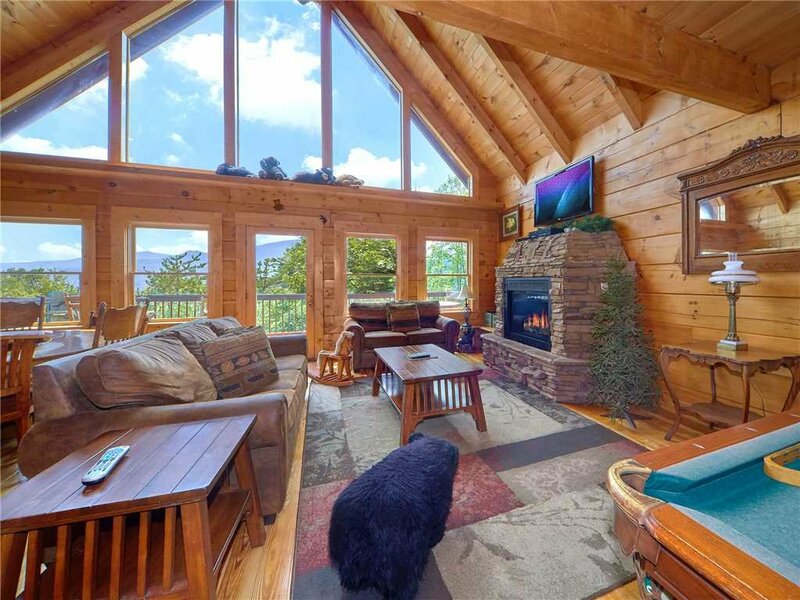 Bear Pause II’s great room really is worthy of the name. 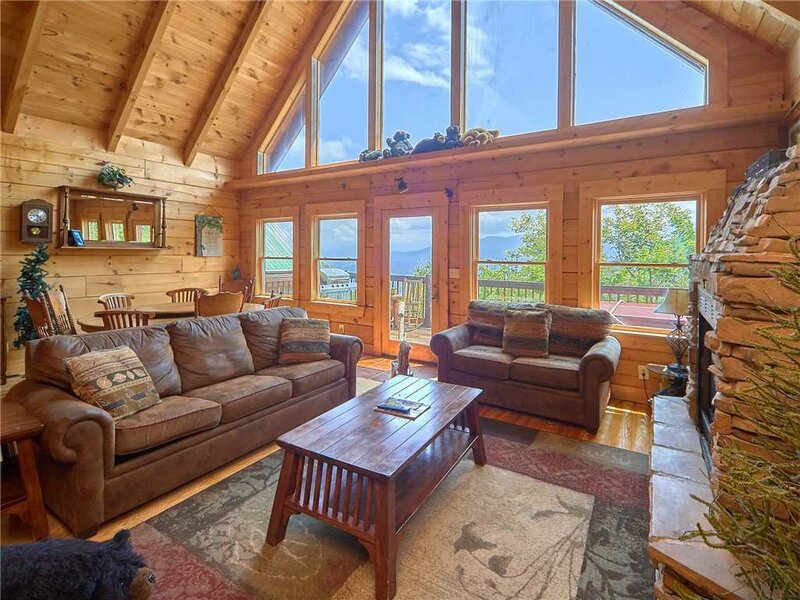 This expansive space features a cathedral ceiling and a double-height wall of windows that let you admire the mountains even as you’re relaxing on the sofa, dining at the table, or cooking in the kitchen. 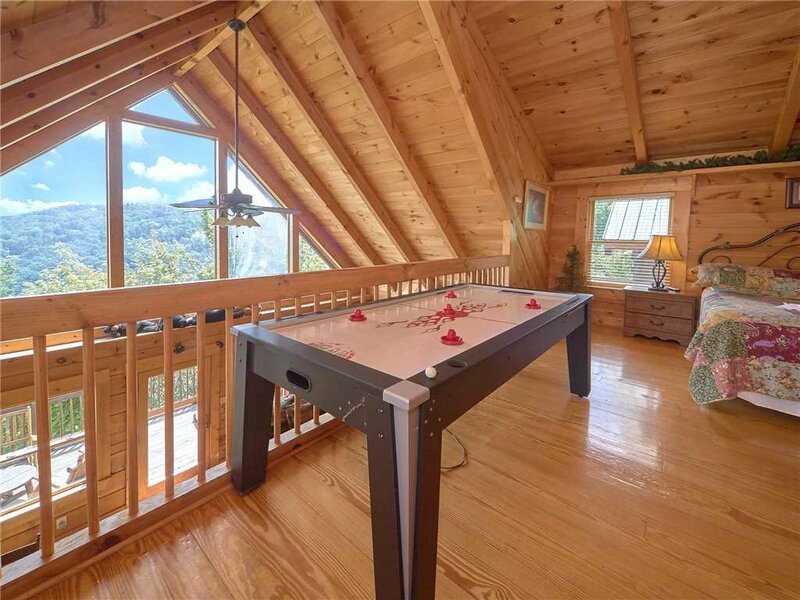 You might think =it difficult to take your gaze away from the stunning vista—which could be a problem while you’re shooting pool at the full-size billiard table! 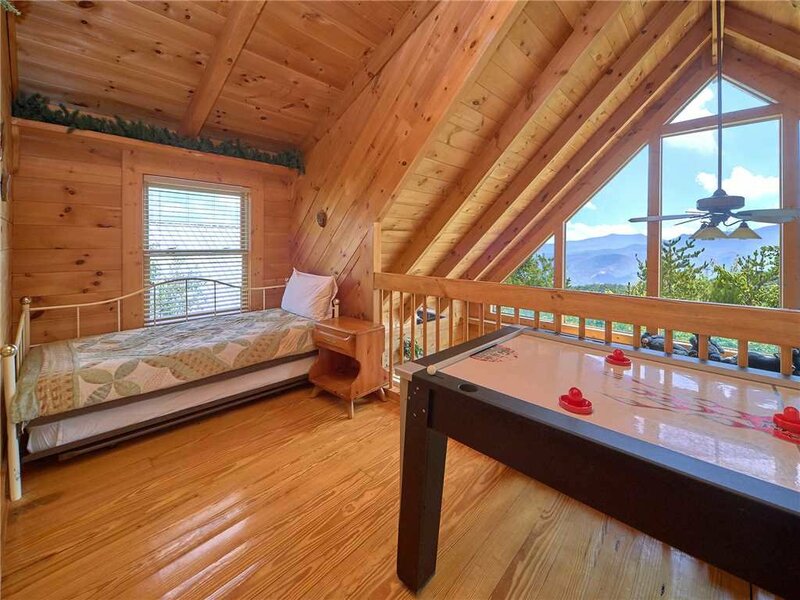 If pool’s not your game, don’t worry: There’s also an air-hockey table upstairs in the loft. 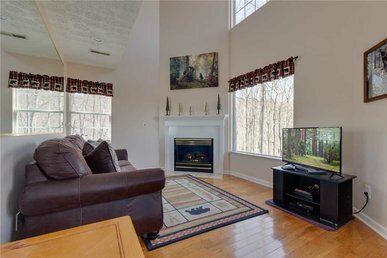 The great room’s amply cushioned couches face a stone-surround fireplace, where you’ll want to linger on chilly winter nights, whether or not you’re watching a movie or game on the flat-screen TV mounted above it. 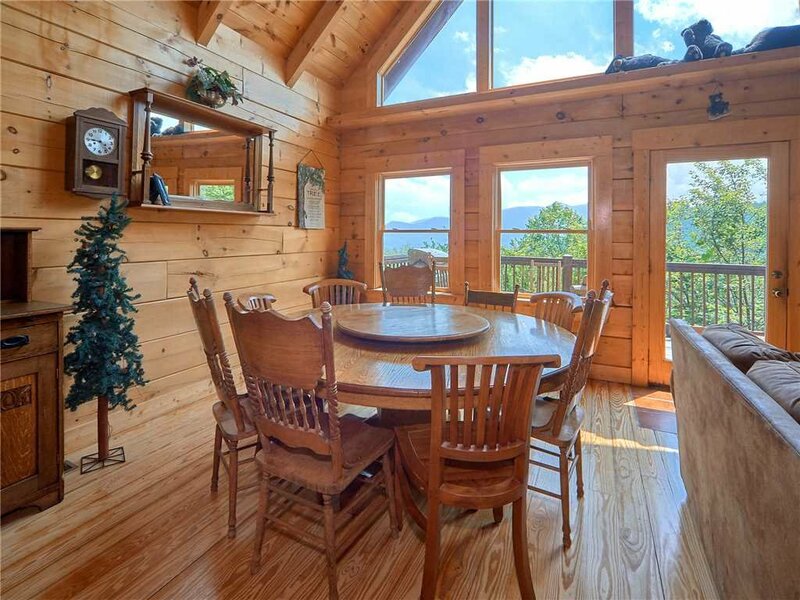 You can also bask in the warmth of the fireplace—or the breeze from the ceiling fan—while enjoying a meal at the dining table, which seats eight. Need more room? The nearby breakfast bar seats another four. 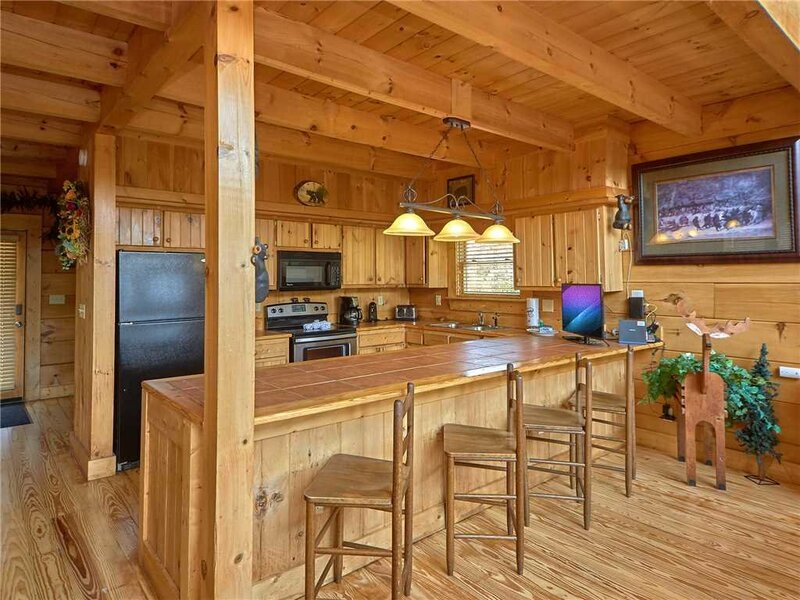 The kitchen is fully equipped with appliances, cookware, tableware, and loads of counter space. 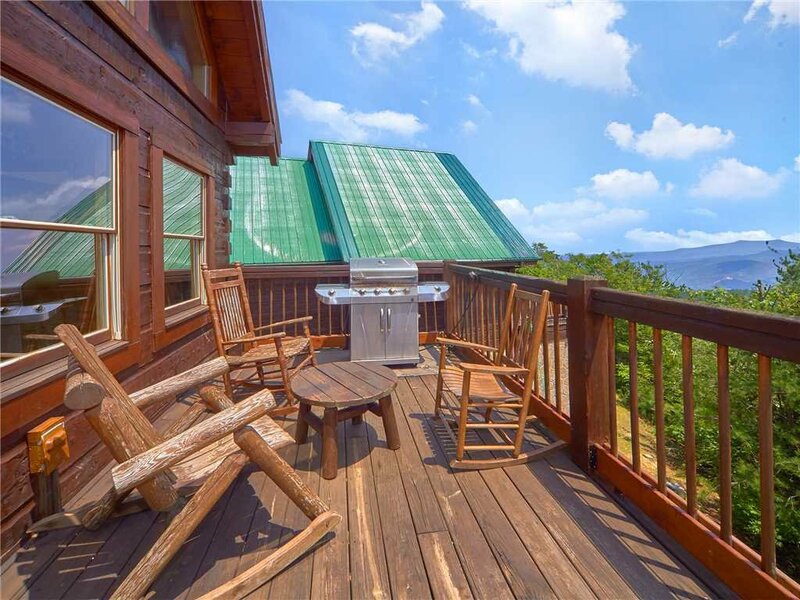 There’s a large gas grill on the deck too (mmm, barbecue!). 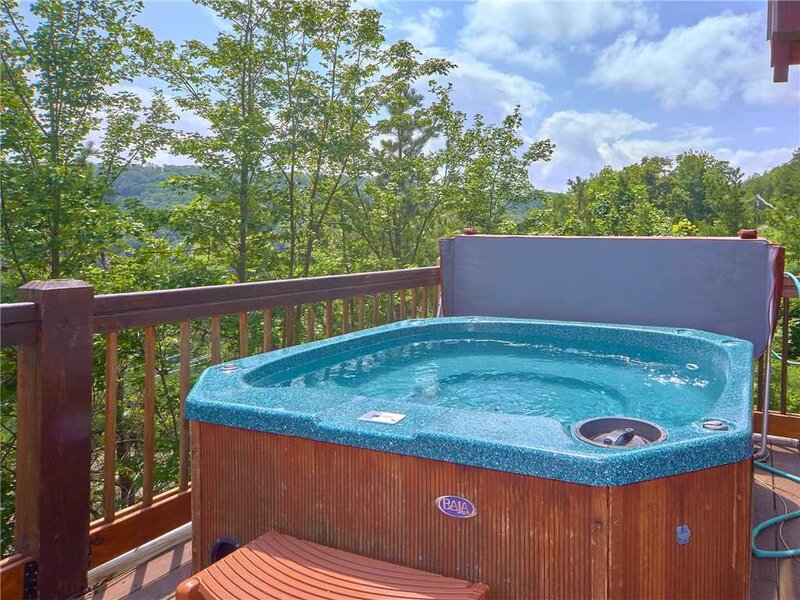 Also on the deck: a spacious hot tub. Soaking among its steamy bubbles while relishing the mountain view is simply magical; so is luxuriating in the tub under a canopy of stars. When you stay at Bear Pause, you’ll have access to the community’s outdoor swimming pools and tennis courts. 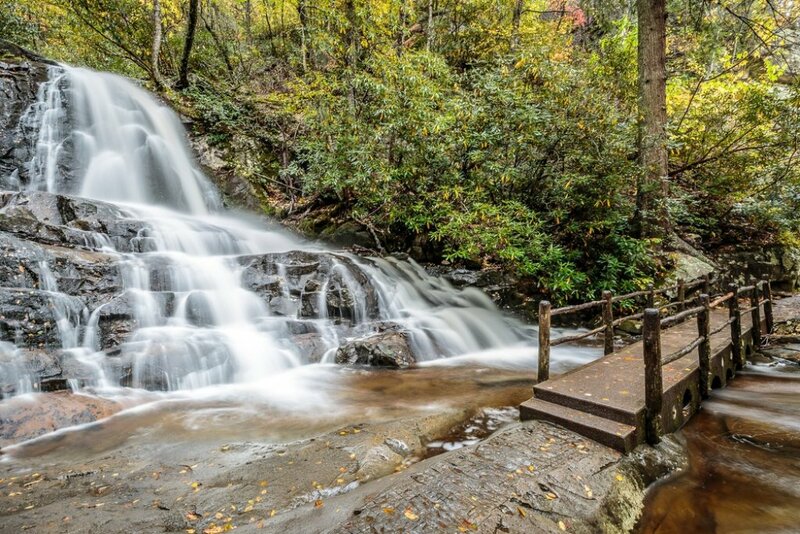 And of course, there are the myriad attractions of Gatlinburg practically at your doorstep. 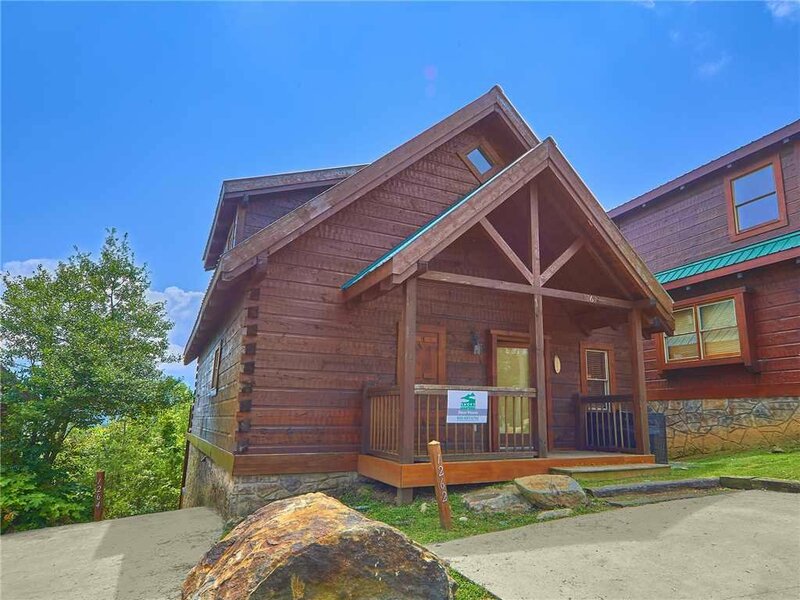 Ober Gatlinburg Amusement Park & Ski Area is only five minutes away; in fact, you can see its slopes from the cabin. 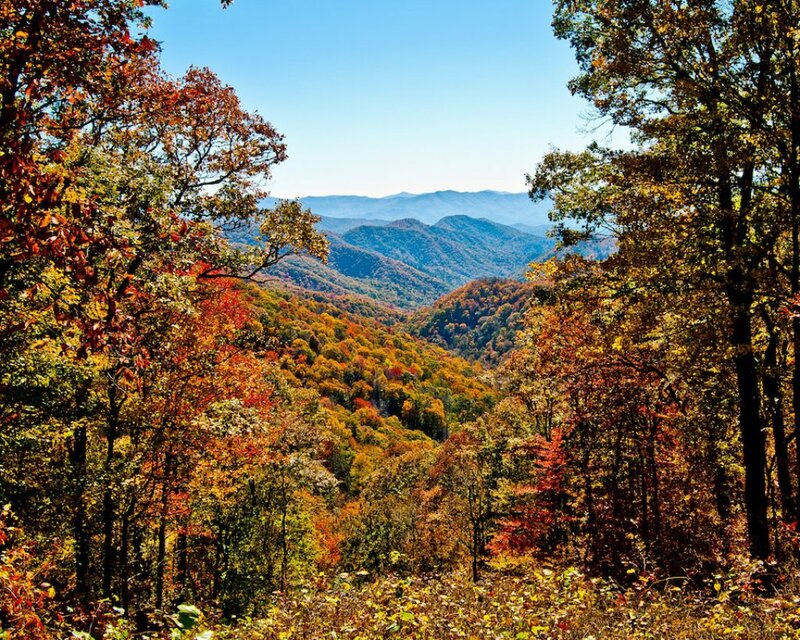 Drive a few minutes more, and you can be at the Great Smoky Mountains National Park or downtown Gatlinburg, home to the Guinness World Records Museum, an aquarium, mini golf, and so much more. 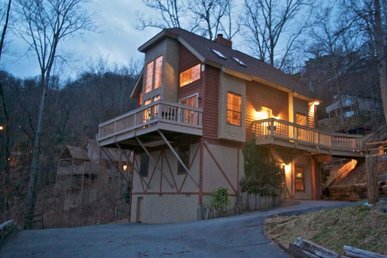 Many rentals boast that they offer something for everyone. But Bear Pause II really does natural beauty, unbeatable convenience, luxuries large and small. So what are you waiting for? Book your stay today! 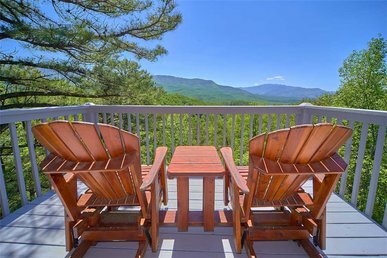 Great location with awesome views. Everything worked fine. Only thing that could be improved was the stocking of kitchen ware, utensils, etc. Definitely needed a good skillet and some sharp knives for dinner prep. Thank you for the four-star review and comments. 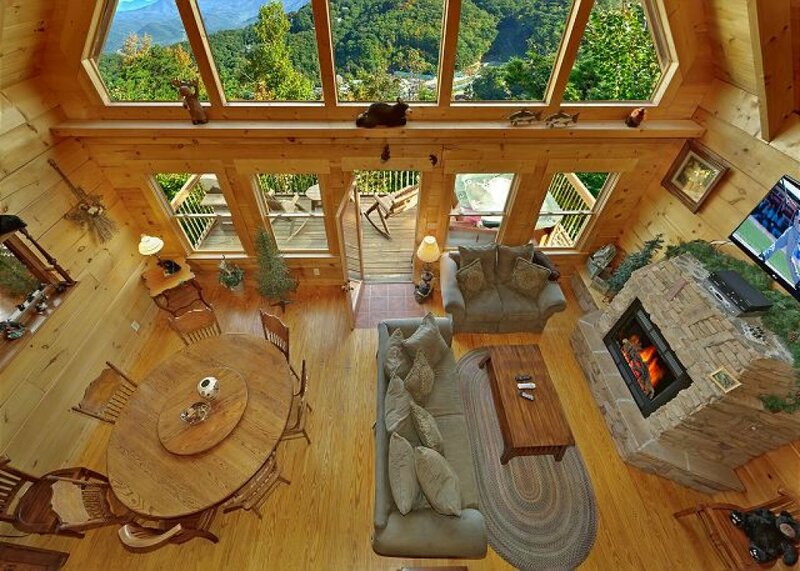 We agree - the views are simply incredible! We will do a thorough kitchen inventory to ensure all items necessary are stocked. Thank you for mentioning that. Come back soon! Thanks for the positive review and four-star rating. Come back soon! Not as good as it looks! Not well kept and things didn't work! This property is not a "Luxury" property for sure. It's nice enough but not for what it cost. 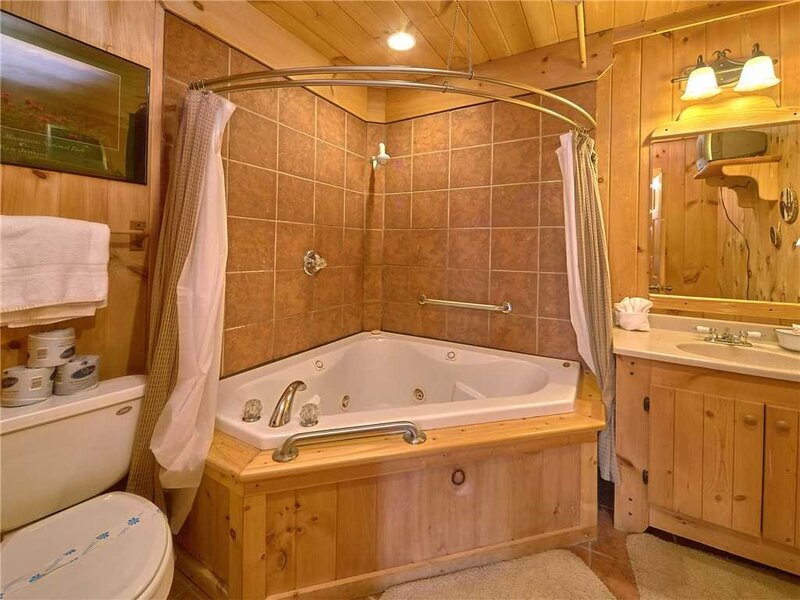 The jacuzzi tub in the downstairs bedroom did not work and the tile was disgustingly dirty. I doubt the property was actually cleaned prior to us arriving. The beds in the downstairs bedrooms were extremely squeaky with the slightest movement. The outside hot tub jets did not work. There was trash on the ground around the back of the unit so when you're looking out at the beautiful view don't look down. There was construction going on across the street, which we were not made aware. There was at least 12 construction worker's vehicles parked all over the place including in our unit's parking place. There was construction debris so close to the road that it was difficult to drive to your unit and was concerned that we may get a flat tire. I would not stay at this unit again. Thanks for the constructive feedback and comments - I am sorry to hear that Bear Pause fell short of your expectations. The Jacuzzi tub has been serviced and is fully operational. The hot tub jets outside were closed (twist to open). We have addressed the cleaning comments with our cleaning crew to ensure that future guests do not have the same issue. We hope to host you again in the near future! overall, i was pretty happy with the stay for two nights with my family. the property was clean and well kept - it had a gorgeous view from the deck, and the layout inside was unique and spacious. it was easy to get to (considering you have to drive up a mountain...), which we appreciated.we were very glad to not be completely secluded - there were several other cabins right on the same street, but it also didn't feel like there were too many people around, ruining the experience of being up in the mountains.bathrooms were clean, and beds were okay (i'm pretty sensitive to bad mattresses, but i didn't have any trouble here for two nights).the one complaint we had was that the cabin wasn't well stocked with some of the kitchen tools we've had when staying in other rental homes. for the most part, we were able to find things we needed - plates, cups, silverware, grilling tools, but we had a large group and were missing things like a baking sheet, large serving bowls, a sponge to clean dishes, and the salt/pepper shakers were empty.so i'd recommend the place, just take a look in the cabinets for what you need before dinnertime! Great location! but Air condition not work well.furniture is too old. Queen size beds are not good. Thank you for your comments and feedback related to your recent stay. I am sorry to hear that you were disappointed with the bedding size (clearly advertised) and the HVAC performance - the HVAC system has been tested/repaired and is fully functional. If you have any additional questions, please feel free to reach out directly. Thanks! Love the cabin,it was my first time and definitely not my last. 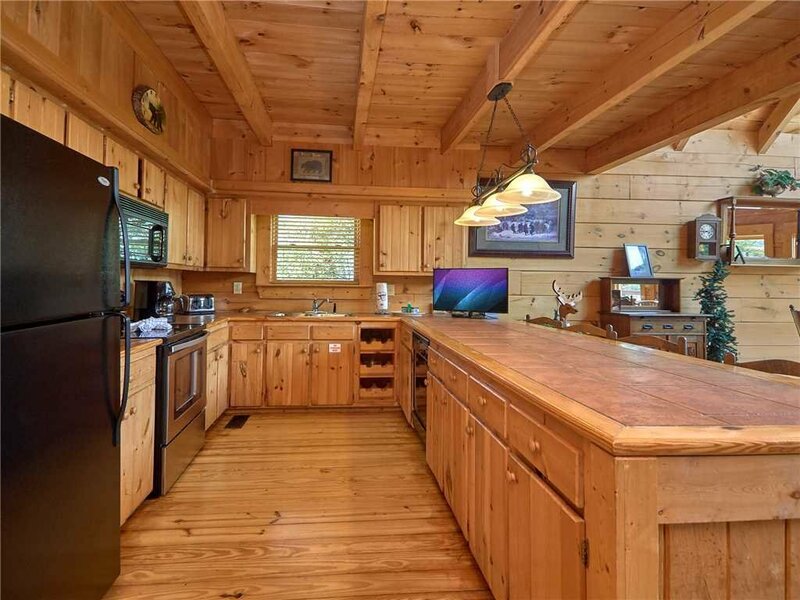 Love all the touches and the country style. 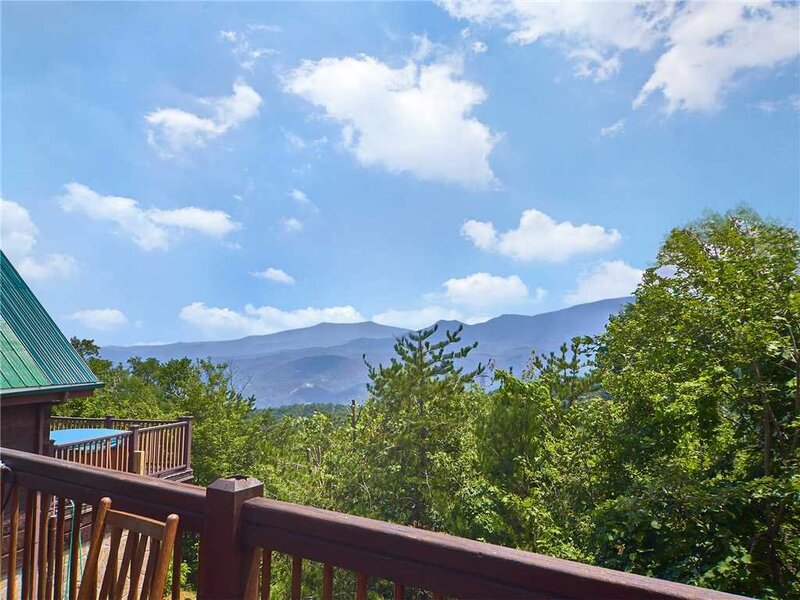 The view was great,well maintained, clean.Only drawbackKitchen doesn't have utensils for more than 4 persons,no baking trays.The cabins were near to each other,like a neighborhood in GA,so not much frontyard.We stayed only for one night,the property manager ,made it happen for us. 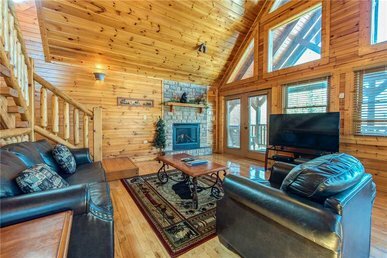 We enjoyed our stay at this cabin. 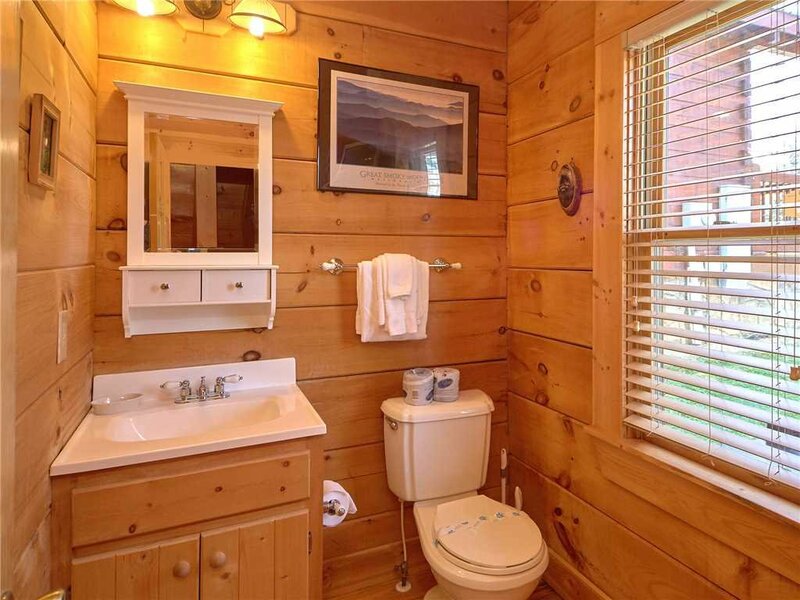 Had to work on a commode and couldn't get the jetted tub to work but other than that everything was great.